The shipwreck S.P. Ely, built in 1869, is a relatively intact 200 foot long schooner that sank in a storm in 1896 at Two Harbors, Minnesota. It is located inside of the west breakwall of the Agate Bay harbor of Two Harbors and is visited by many sport divers each year. The Ely site has always been unique because over half of it is intact. Its bow and stern broke apart long ago, but over 120 feet of the mid-ship portion of the wreck is still upright and intact. 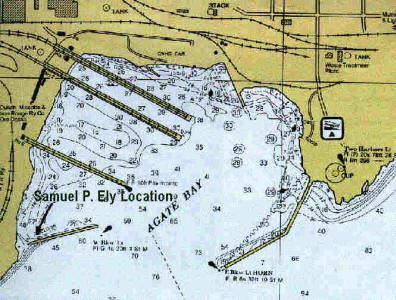 In 1994, a group of concerned divers began the Ely preservation project. 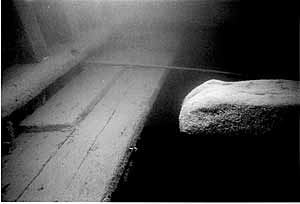 They lifted the deck through holes in the ice during the winter and stabilized the spreading hull by installing four ¾ inch steel rods to support the deck and hold the sides together to stop the hull from spreading. The rods were run just under the lifted deck and secured on the ends using steel plates and nuts to pull the sides together. 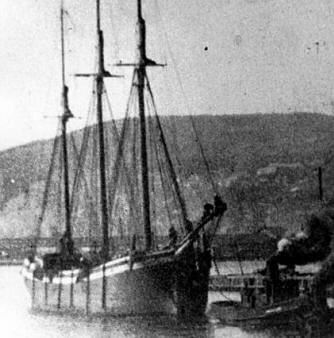 This group later went on to form the Great Lakes Shipwreck Preservation Society and have continued efforts to preserve this shipwreck and many others. (1994 S.P. Ely Restoration Report) Monitoring over the years showed gradual bending and breaking of the original rods. These were replaced beginning in 2001. This time we used three sections of one inch steel rod using two turnbuckles to join them to span the 32 foot beam. The thicker rods and extra turnbuckles were intended to reduce the fracture stress of the flexing rods due to the motion of the hull created by the forces of water movement during heavy seas. Six new rods were installed. The goal of the Ely Stabilization project is to document, preserve, and maintain this shipwreck at a reasonable level of intactness for future visitors and to sustain this rare representative of the 200-foot schooners for posterity. This is one of the few of this class of wooden vessels still intact that was designed around 1870 for the new 16-foot channels at the St. Clair River between Lake Huron and Lake St. Clair. GLSPS and concerned people have been working to preserve this shipwreck since 1994. Our more specific goals for this shipwreck are: document and stabilize, then preserve the Samuel P. Ely. We will strive to maintain the original fabric of the vessel and whenever possible original materials will be used. Where using deteriorated original materials may compromise safety and significant structural integrity, we will replace materials with new materials of a similar type and appearance. The location of the S.P. Ely on West Breakwall. 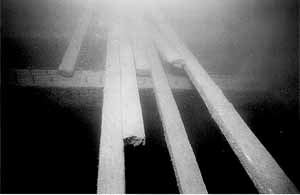 Deck beam and loose deck planks on the Ely. tie rod behind it to help secure the hull sides together.